The Eclipse Energy started coming in a few days ago as I posted on my facebook page. Follow me here for more immediate updates. A blissful feeling of Love has been with us for a few days now. A feeling of Strong connection to the higher realms. If you have not felt this- tune in and see if you can become ONE with this feeling. It’s a feeling of Gratitude, Love and Bliss. The past few weeks we have had energy coming in of EXTREME insights and Ancestral clearing. You may find these memories and insights coming through at the craziest times as anything big or small it seems can trigger their arrival. We need to work to clear these out and heal all past karma in order to keep moving forward. So when they appear do these things to heal your own DNA and all Ancestral DNA. If you are around others excuse yourself and go somewhere quiet to get through this and fully deal with it. This heals your body and makes way for the LIGHT BODY to continue to build. The Light Body can not build on karma that is unresolved. This is why we need to take care of all emotions in life right away and do what we can immediately to solve any issues as they arise. In this way no more karma can build up and accumulate, having to be removed at a later time. Other symptoms coming in have been extreme lack of sleep and crazy dreams. You might even find yourself closing your eyes during the day for a few minutes and having many different visions coming in. Eclipses are known for being game changers in the Ascension process. They always bring in strong energy for change. This partial solar eclipse will be no different. I advise you to go to your sacred space as the eclipse is happening and become ONE with the changes it brings. This way you are not resistant to anything that happens on that day or the following weeks coming up. Go into nature if possible and sit by trees. 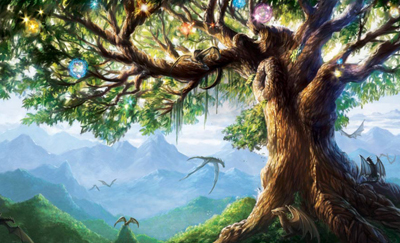 There are many elementals all around trees specifically to heal humans. The tree energy itself is healing, calming and nurturing. This can and should become a daily ritual in 2019. The New Moon also comes in Jan 5/6 and this also brings in strong energy as all New moons do. New Moons are known for bringing in change so expect changes to happen in your life. It could be relationships, jobs or money. Manifest all of them to be changes for the best. Intend the best outcome in all possible scenarios. This is symbolic of how 2019 will go, it will be packed full of energies and challenges. We are not going to get a year off, if you are in the Ascension process expect to be challenged in many ways this year. We will be very busy dealing with higher energy coming in and many getting new found abilities and spiritual gifts. I will go into more detail on this in another upcoming article. This entry was posted in Uncategorized and tagged Diane Canfield, Eclipse Energy, EXTREME insights and Ancestral clearing, Gratitude/Love/Bliss, love. Bookmark the permalink.